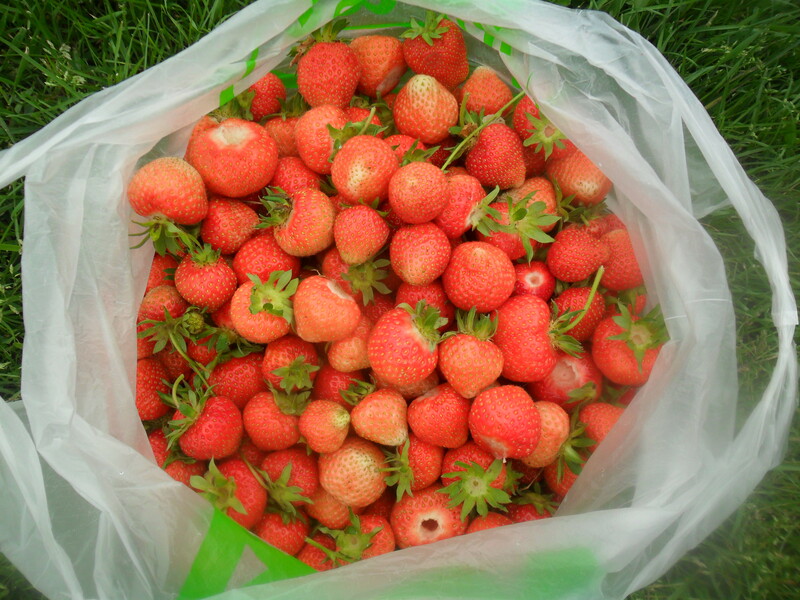 This week at my allotment I have been planning next years strawberries. There is nothing like the taste of the first strawberry of the year and I am already dreaming of it. 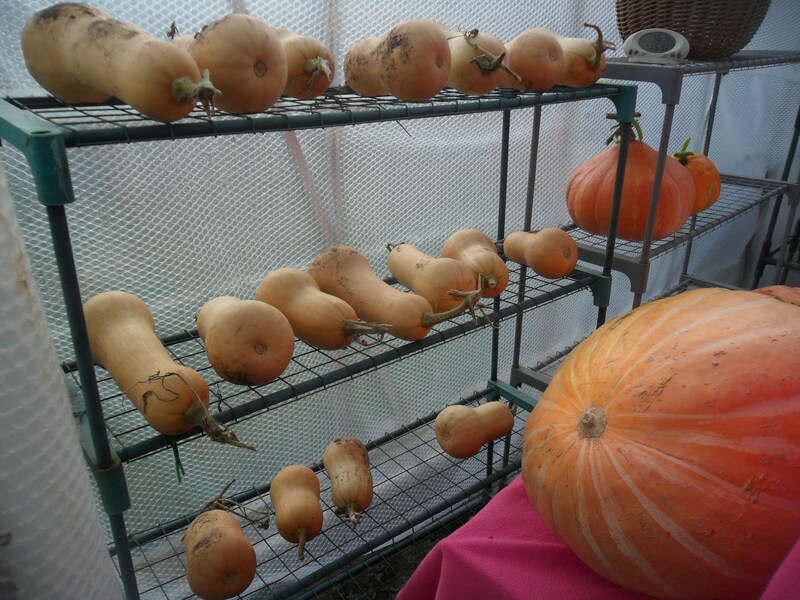 I have also collected in my butternut squashes and put them into my greenhouse. I will leave my squashes in there until it gets too cold for them and then they will be transferred to my usual ‘romantic’ position in our bedroom (as this is the coolest room in our house). 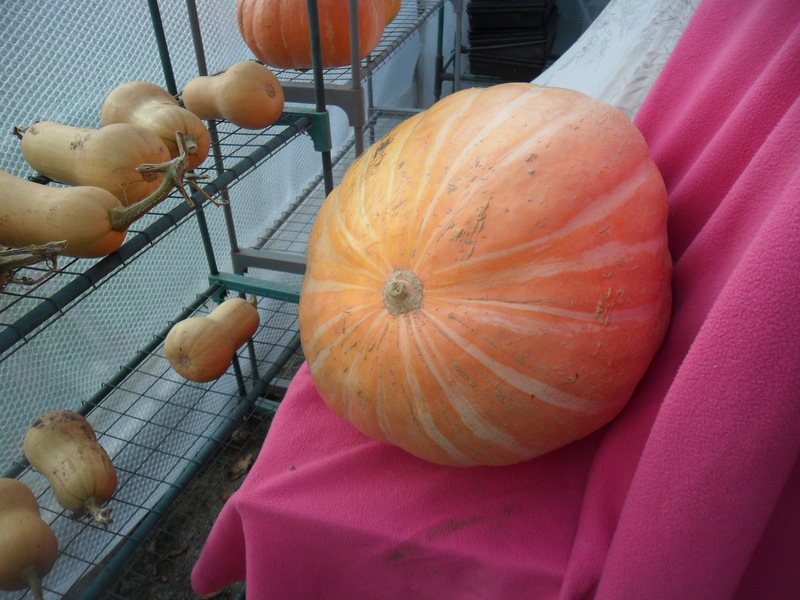 So now it’s the moment you have all been waiting for……the total weight of my pumpkin is……. My 2013 pumpkin weighed 5 stones and 8 lbs, which is 78 lbs altogether! 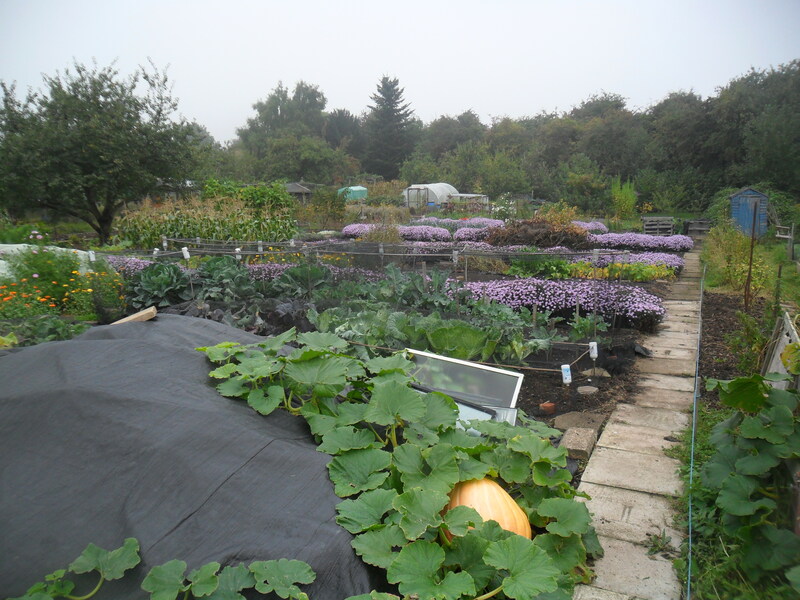 I am very pleased as it has finally beaten my own pumpkin record of 76lbs in 2006. 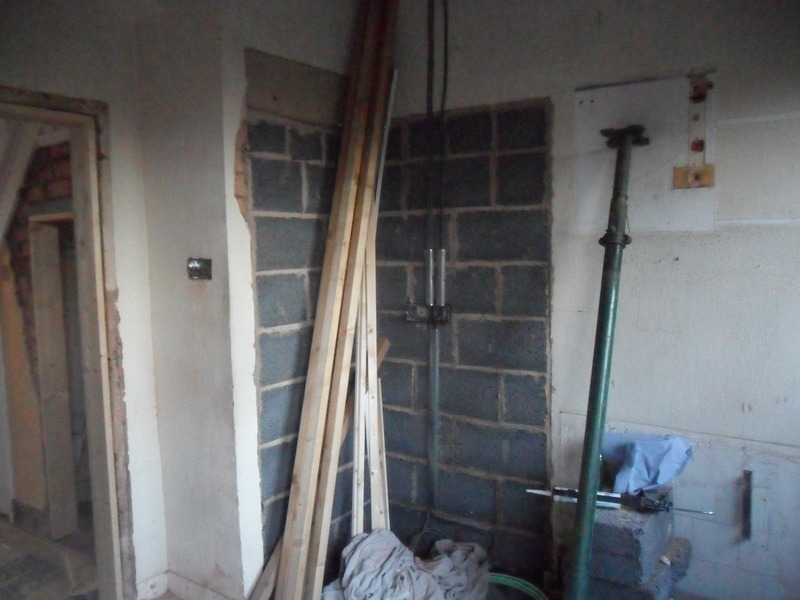 The builders have been here for three weeks now and below shows the progress they have made. 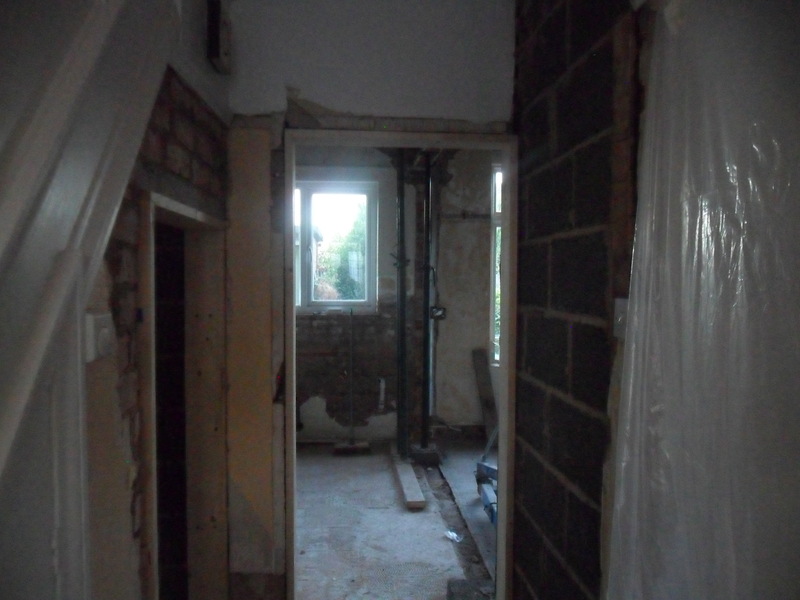 The kitchen was removed, the ceiling removed, the wall between the kitchen and dining room had been knocked down, the chimney breast had been removed, two steel supports had been inserted and the pantry, back door and back room door had been bricked up. 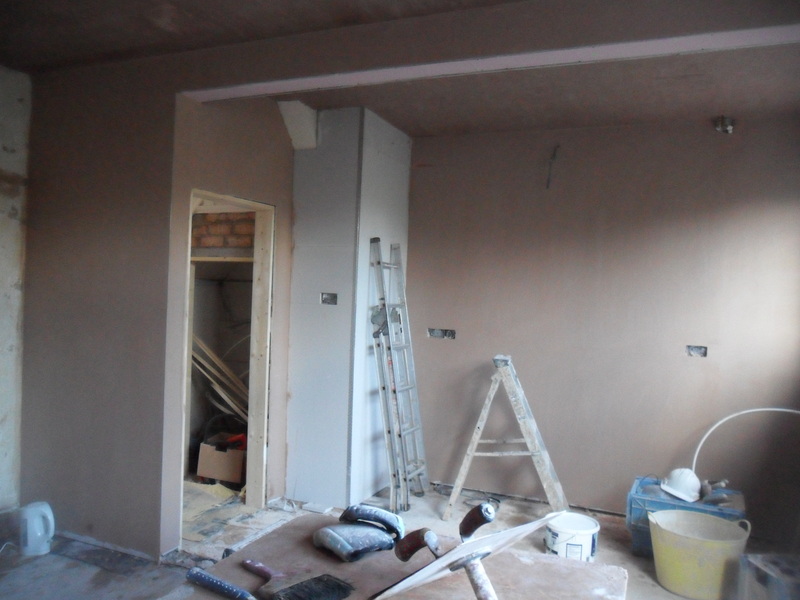 The electrics have been put in, the plumber has been working on the gas and water and the building inspector has been round to examine the work. 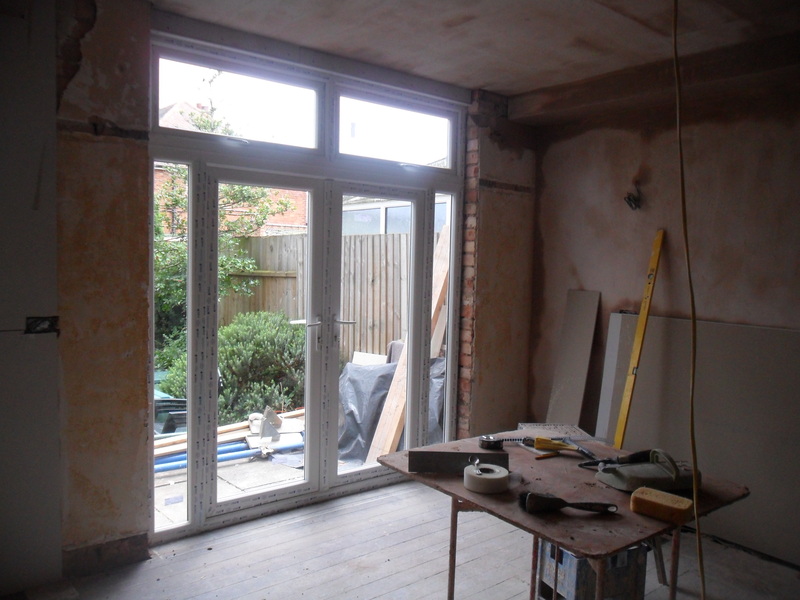 The French doors were put in this week and the walls were plastered. 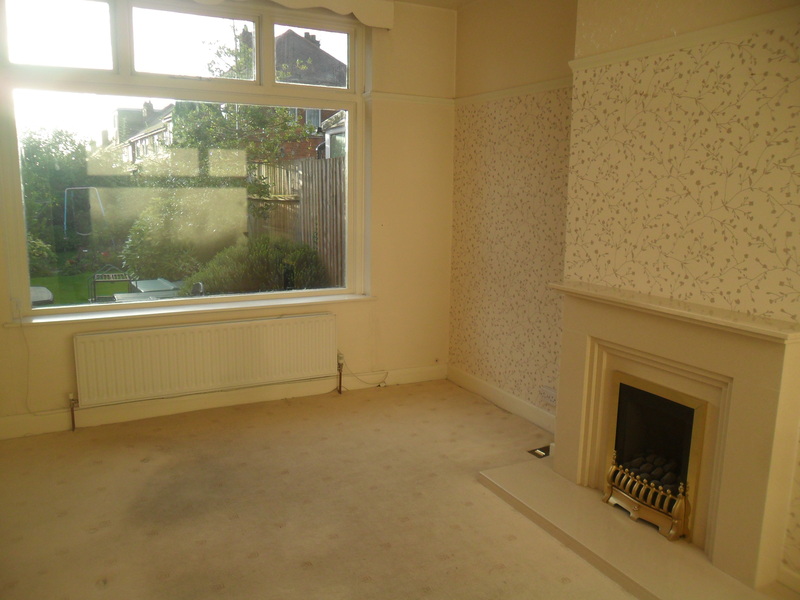 It is actually beginning to feel like a room again, instead of a building site. 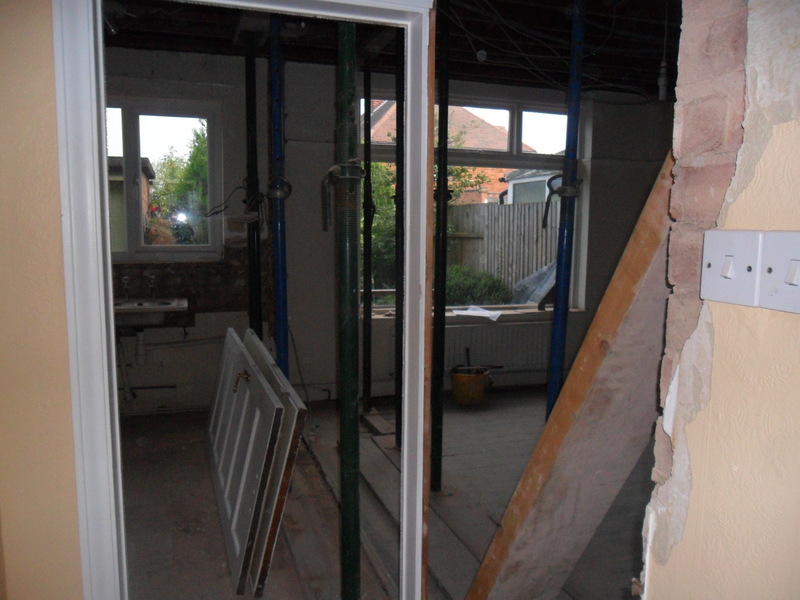 I am so looking forward to the builders finishing as I am really missing my home now. I am fed up of cooking without a cooker and washing up with a bowl on the floor. I have learnt how washing your clothes at the laundrette is expensive (£2.60 a load) and i’m not sure how people manage without a washing machine?… but all these little things will be a small price to pay when it’s finished. It doesn’t matter how many you grow or what size they are…it’s the taste that counts and I bet yours taste delicious. I hope you are keeping on top of the dust! 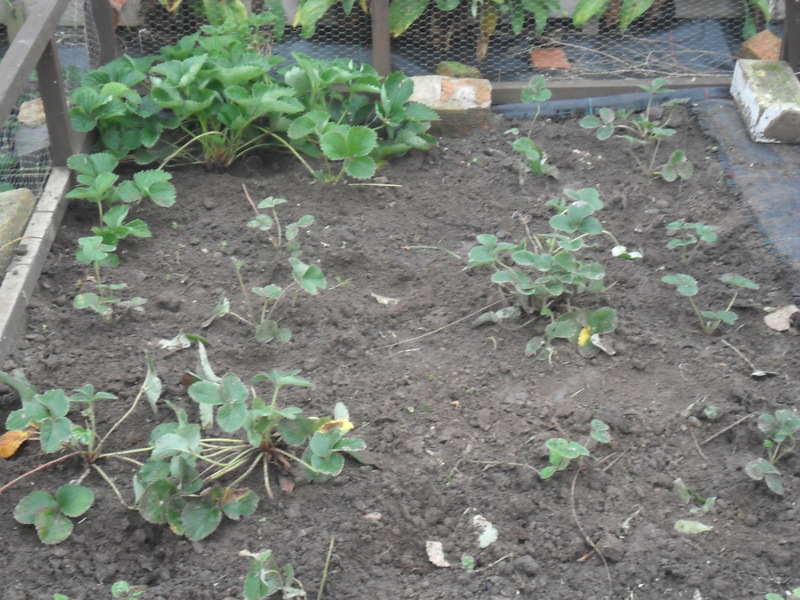 Are you replacing the strawberries because they are not fruiting as well or are you just building up a new bed? 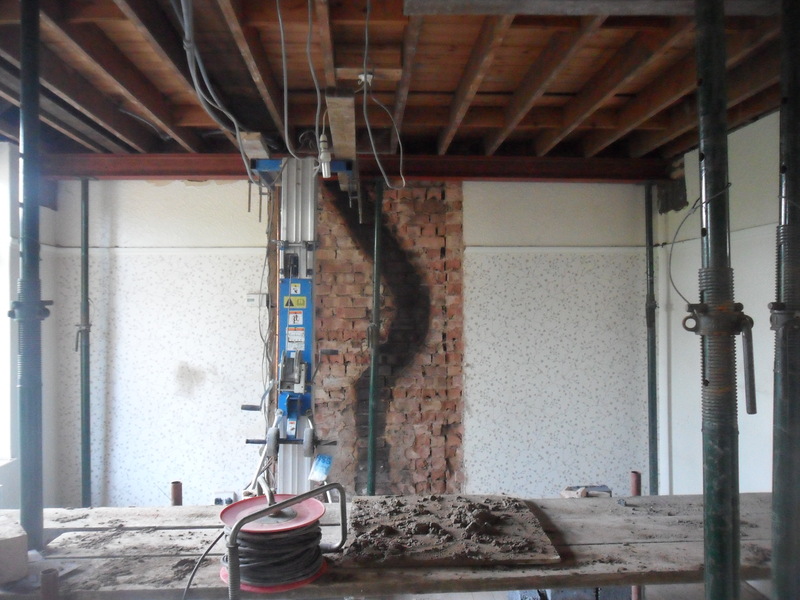 Hi Sue, yes it has been very dusty at times but I’m hoping we are over the worst now. 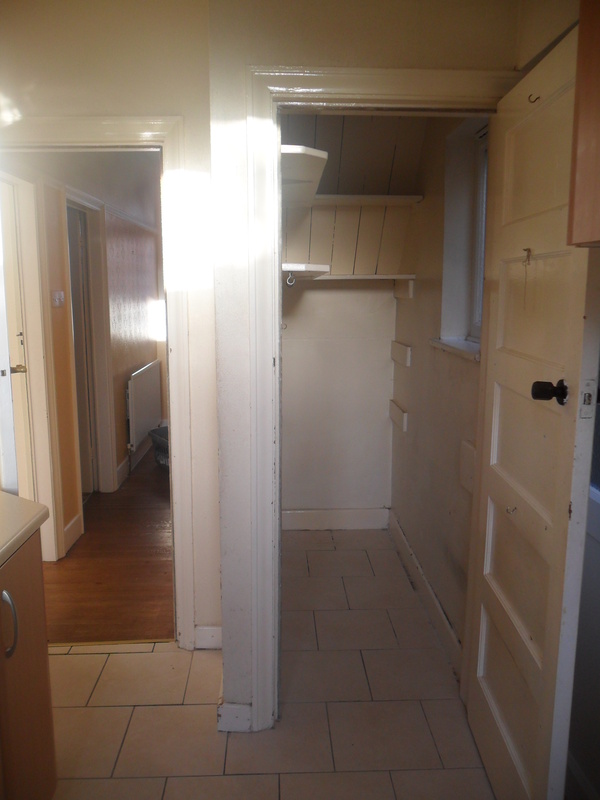 Next week they are painting and then they will start to fit the kitchen….i’m really excited now! Congratulation to you and Mrs. Yub! 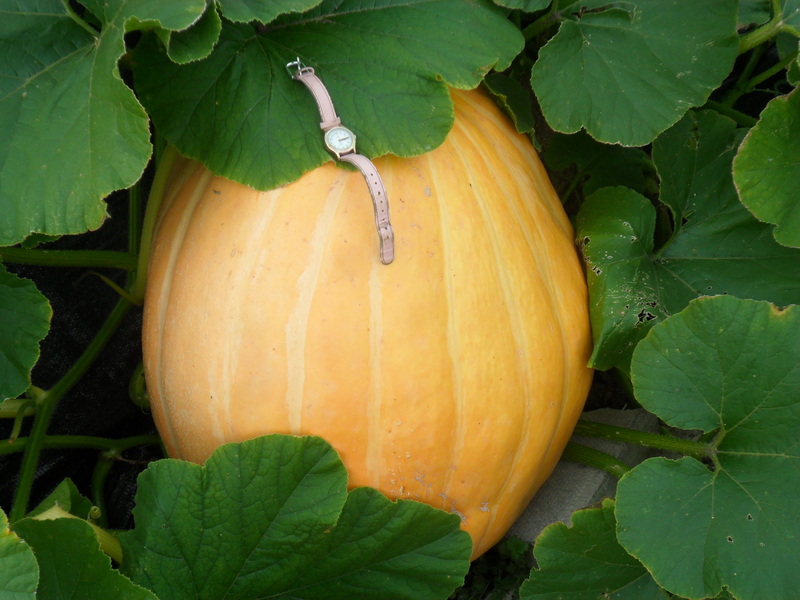 What a pumpkin, Cinderella’s Godmother wouldn’t even need to enlarge it to take her to the ball. Hehee! Thankyou, Hannah! I never won anything before! It feels….tingly! I betchan the seeds in it would be large enough to use as the wheels for he pumpkin coach, too! All the work will be worth it in the end. When I was pregnant with my son we were doing the same, ripping everything out and I had to wash the dishes in the bath but couldn’t reach due to my bump! 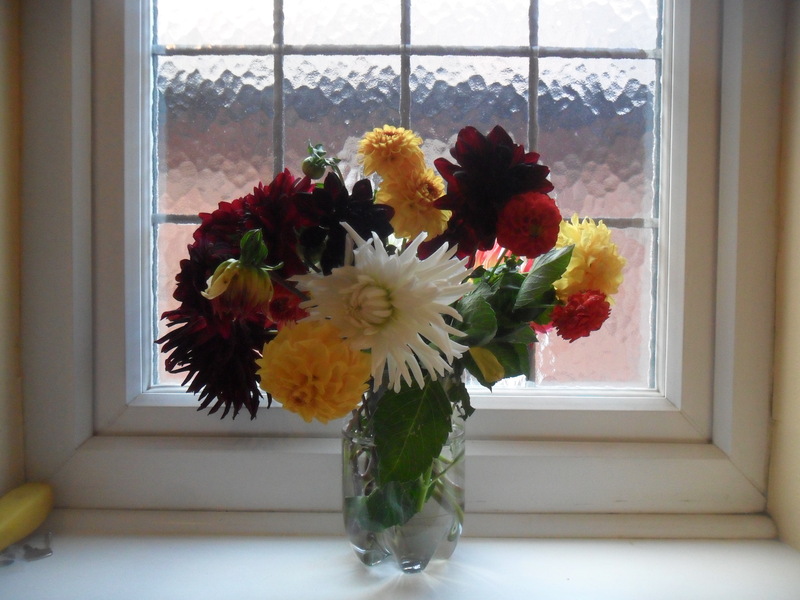 Now I have a lovely big kitchen – and so will you soon in time for Christmas too! Bless you Ali, you are right, it will be lovely in the end and I am so grateful that we are in a position to be able to carry the work out. Wow! 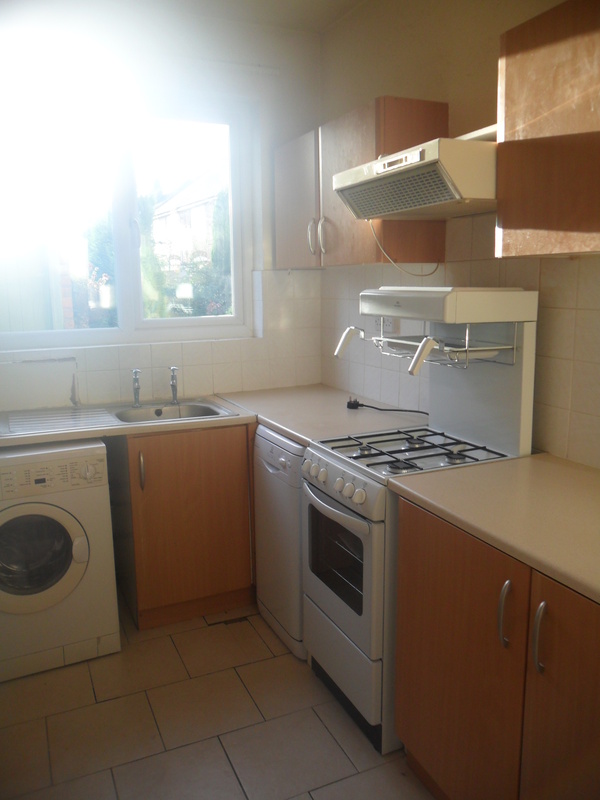 Look at your kitchen! It looks so big! What colour are you going to have it? I’m a little disappointed with my strawberries. I knew they wouldn’t do well as I transpanted them this winter gone, and was iffy about the spot, but I was still sort of hoping they would surprise me Never mind. Yours look yummy!! could you add Keith wilkins to your mail out please. Hi Veronica, just get him to click on ‘Follow this blog’ on the left hand side of my page and an email will be sent to him each time I update my blog.